Ladies & gentlemen pack your Derby Duds for an evening of Juleps & Jockeys. Cheer for your choice thoroughbred on your favorite equine-filled island. Island House Hotel opens just in time for the 3rd Annual Derby Day Soiree in the 1852 Grill Room. Sip on blue-ribbon-worthy mint juleps and bourbon. Live broadcast of the Kentucky Derby accompanied by music & commentary by DJ Mike Williford. Pack your southern Sunday best, Derby attire is expected. Fantastic prizes for the biggest hat, best dressed, cutest couple, equestrian trivia, & other contests. 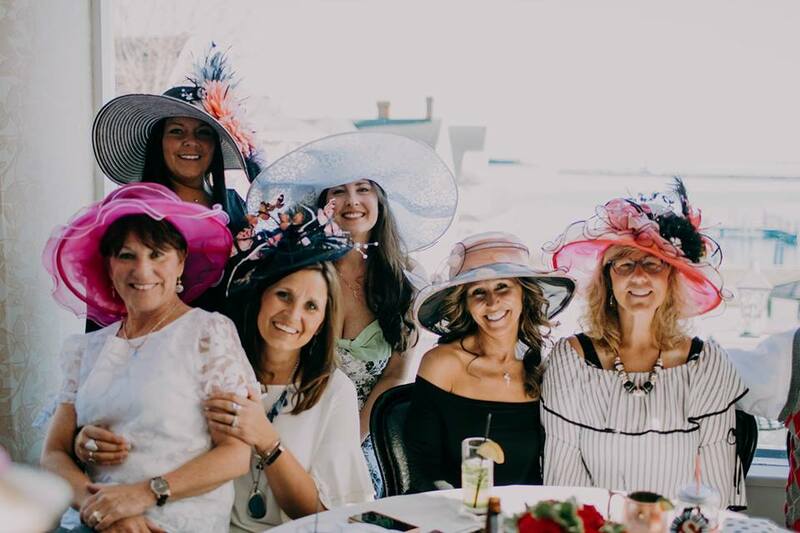 Mackinac Horsemen’s Association will be raising funds to support local equestrian activities with a hat decorating table with all the materials you need to make your appearance exquisite! Package based on double occupancy. Subject to taxes & fees. Dates subject to availability. Additional adult and children’s rates apply. Island House Hotel Derby Deal purchase is required to attend. This popular event fills quickly. Tonya, look at those prices! Romantic Mackinac Island getaway package for couples anniversary, honeymoon or any special occasion at Mackinac Island's oldest hotel, Island House Hotel.